Besides, there’s absolutely no evidence to show that they were stolen by Assange himself, but were most likely passed on to him by Bradley Manning, a US army intelligence analyst who is now being detained in a maximum custody prison with more than 22 charges related to the leaks, including “aiding the enemy”, though the charge does not specify who the “enemy” is. Manning was serving in Iraq in 2009 where he had access to the Secret Internet Protocol Router Network (SIPRNet), used by the United States government to transmit classified information. He is said to have installed extraction software onto the database, downloaded the classified information onto his personal computer and passed it onto Wikileaks who began publishing it in February 2010. If Assange is to be charged with conspiring in obtaining and leaking the cables, establishing definite contact between Manning and Assange is primary, because conspiracy requires an “agreement between two or more persons to commit an unlawful act”. But the most defining feature of Wikileaks makes proving this ‘agreement’ almost impossible: the Wikileaks site operates as a digital dropbox into which anyone can anonymously leave sensitive information—untraceable mass document leaking; where the source of the information is not known, even to Assange himself. During the period for which Manning was charged with leaking the cables and the secret military video, submissions by sources to Wikileaks were being routed first through the Wikileaks Swedish ISP provider, then to a Wikileaks server in Belgium, and then on to other countries where they are removed at “end-point machines” and stored elsewhere. These machines are maintained by highly secretive engineers. The entire pipeline, along with the submissions moving through it, is encrypted, and the traffic is kept anonymous using a modified version of the Tor network, which sends Internet traffic through “virtual tunnels” that are extremely private. Moreover, Wikileaks computers feed hundreds of thousands of fake submissions through these tunnels, obscuring the real documents, making it more secure than even banking networks. Assange denies having ever known Manning till his name came out in the news and so far, the US hasn’t been able to show any direct contact between the two. Can Assange then, instead be charged of aiding or abetting unlawful acts? Does the mere existence of a site like Wikileaks “encourage” or “assist” people in stealing and leaking secret information? Wikileaks says on its website that it publishes material of ethical, political and historical significance while keeping the identity of their sources anonymous, thus providing a universal way for the revealing of suppressed and censored injustices. Adopting a policy of keeping sources anonymous does provide a safer avenue for disclosure by whistleblowers, but it’s a far cry to say that this amounts to active assistance or solicitation of information theft, because stolen material can be voluntarily submitted to any publisher, the difference only being in the degree of personal risk the source takes in submitting the information. American Chief Justice Hughes defined the press as, “every sort of publication which affords a vehicle of information and opinion.” This includes everything from newspapers to blogs. Under the US Constitution’s First Amendment, the press has almost absolute immunity from pre-publication restraints. According to US courts, the First Amendment’s primary purpose is to prohibit the widespread practice of governmental suppression of embarrassing information. The scope of the First Amendment also protects publishers of illegally obtained information from prosecution, but excludes the source of the information from such protection. However, there’s much debate about whether Wikileaks is a journalistic organization that affords press freedoms under the First Amendment. Proving it is not is another hurdle; as Assange has received two media awards, is recognized as a journalist by the Centre for Investigative Journalism, is an honorary member of the Australian Media, Entertainment and Arts Alliance and describes his role as primarily that of a publisher and editor-in-chief who organizes and directs other journalists. Furthermore, the cables were analyzed and republished by major American newspapers including the New York Times. Therefore, prosecuting Assange for publishing stolen classified material seems even more unlikely while influential well-established news agencies are doing the same, as an exercise of their rights under the First Amendment. Eventually, even if the US Department of Justice seeks to prosecute Assange under the ancient Espionage Act of 1917, they would have to prove that Assange was actually in contact with a foreign power and intending to provide it with US secrets— of which again, there is no available evidence yet. What’s also interesting is that Saudi Arabia enacted its Online Publications Law in January 2011, a little more than a month after the release of the US diplomatic cables. The law requires all online and traditional media websites to be registered and obtain licenses for operation. Registering personal blogs is not mandatory but whether registered or not, any website including blogs can be heavily penalized if it publishes politically “inappropriate” material. The Parliament in Malaysia too is currently considering extending its rigid print media laws to cover online media, in the interests of “national security”. There are strong predictions that this move comes in view of the online collaboration and mobilization of anti-regime protesters that are thronging the Arab world’s streets. In fact, Assange claims credit for the Arab revolutions too, saying they were encouraged by leaked US cables detailing the lack of US support for Ben Ali’s corrupt autocracy. As new media like Wikileaks emerges, so are new laws being drawn to desperately govern the highly complex virtual world where real world laws are severely inchoate to apply. While protestors march in millions, the irrepressible power of online media is sending tremors through the very foundations of global corporations and governments and appearing to be the most challenging legal dilemma for the US Department of Justice. 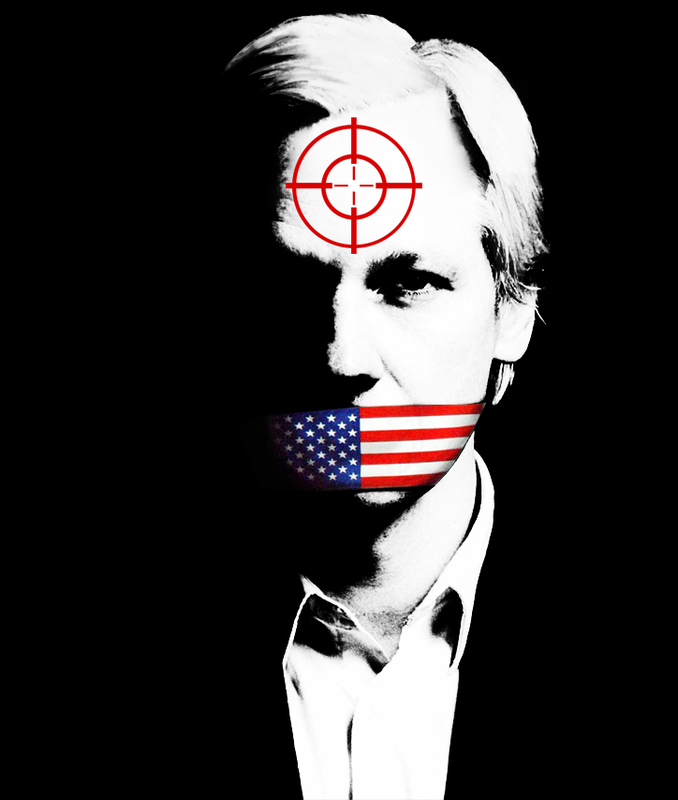 The next move by the US against Assange is most critical as it will not only determine the future of online media, but also that of the accountability of the US government, its jeopardized foreign policies, and by corollary, the future of the world itself.
. I must say it’s thought provoking and my heart missed several beats after reading a couple of ur articles….. It ‘wakes’ ur senses in an otherwise fast pace of life and rat race world! May Allah subhana wa’tala reward you in ur endeavour . So please continue writing these easy to read and digest articles..